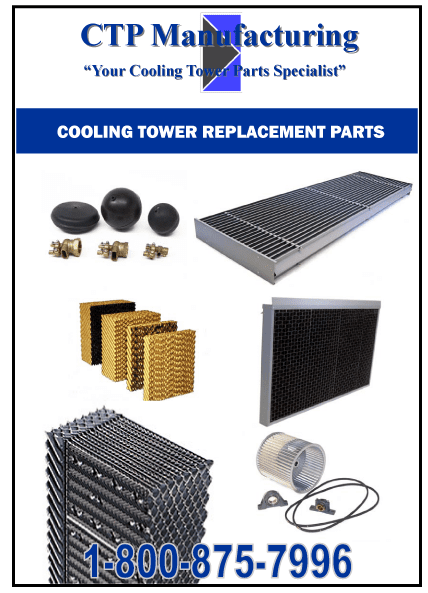 CTP Manufacturing has been providing customers with the highest quality factory OEM and After-Market Parts for their Cooling Towers, Fluid Coolers, and Evaporative Condensers for more than 40 years. Our large inventory of fill media, drift eliminators, air inlet louvers, and mechanical components allows us to provide quick and responsive delivery times allowing you to complete your project in a timely manner. Currently we ship throughout the United States, Canada, and Mexico. 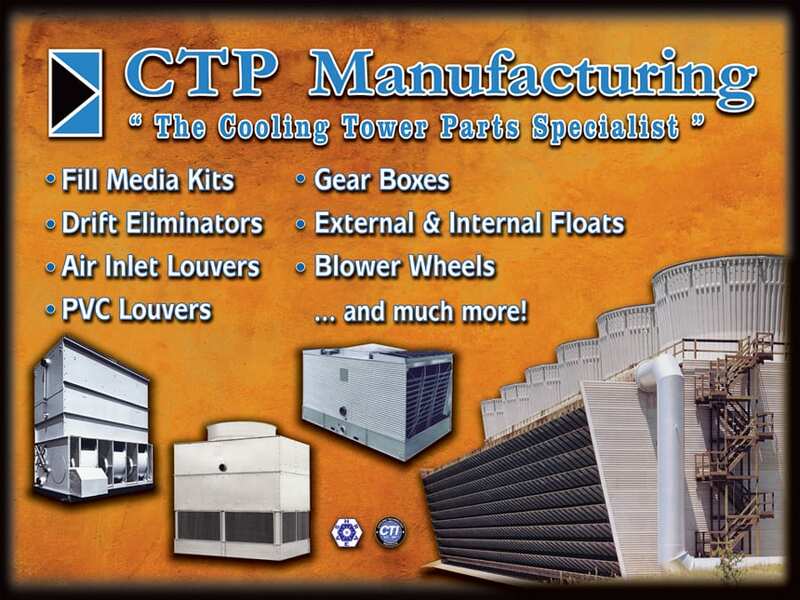 In addition to the various products that we provide, CTP Manufacturing also offers services to customers and contractors through our consulting and inspection services. Through comprehensive inspections and consulting, CTP Manufacturing can ensure that you are making proper choices in materials to maximize your results. We also work with end users to develop thorough scopes of work for their projects to guarantee that bidding contractors will adhere to product and material specifications which will meet today's CTI standards.